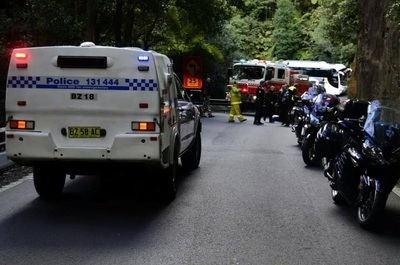 A MOTORCYCLIST was taken to hospital yesterday (Sunday, June 22) after a head-on collision with a car on Macquarie Pass. Just after midday, paramedics and police received reports a motorbike and car had collided on the Illawarra Highway. 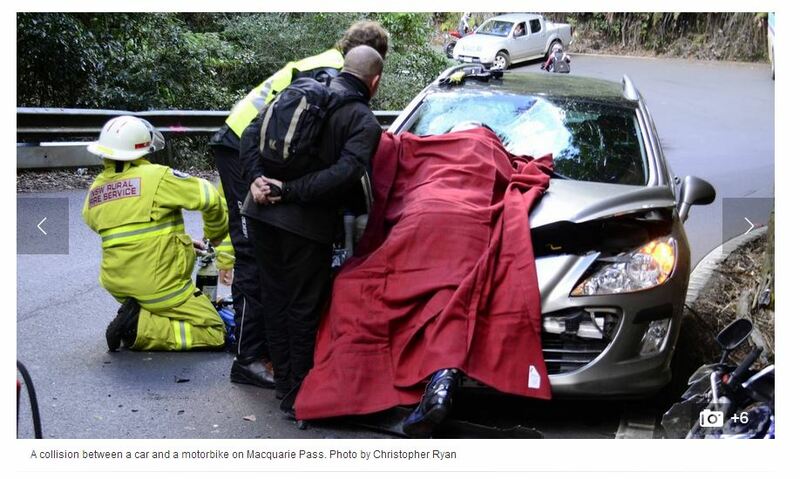 When they arrived, the motorcyclist was on the bonnet of the car he collided with. The rider from Gerringong was stabilised on the bonnet of the car before he was removed and loaded into an ambulance. The 41-year-old man was transported to Wollongong Hospital in a stable condition. 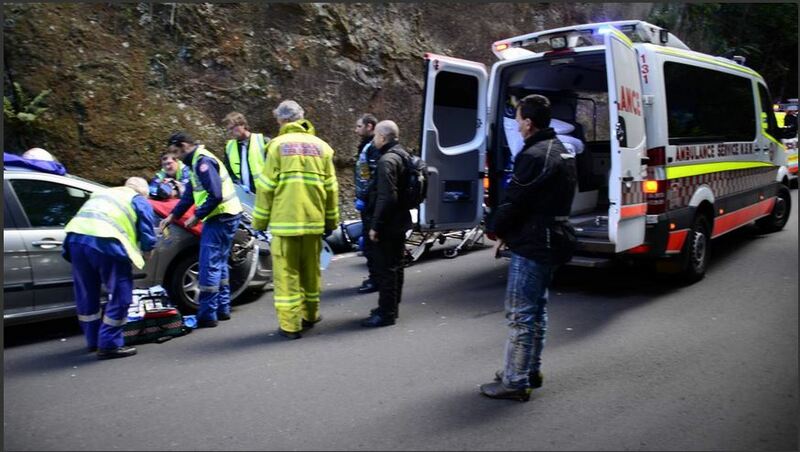 The driver of the car, a 55-year-old woman from Cowra, was not injured. Police said the motorbike rider was travelling down the pass when the collision occurred with the car travelling the opposite direction. A man on the scene said a trained paramedic and off duty police officers from The Blue Knights arrived two minutes after the collision, and attended to the man and managed traffic. Police are investigating the cause of the accident. 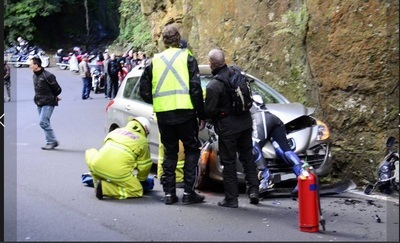 Police said just prior to the accident, another rider came off their bike on Macquarie Pass. 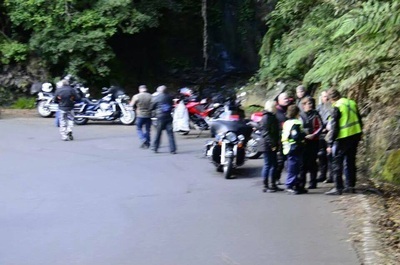 The rider dislocated his shoulder and the bike sustained minor damage. Police said he rode up to the Robertson Pie Shop where he was taken by ambulance, treated and released. 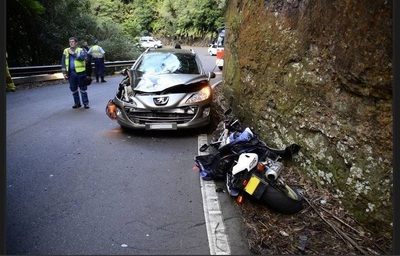 In light of recent accidents on the roads involving motor bikes, police said road users needed to be wary of bikes on the roads, and riders need to obey road rules.